Here at Little Miss Party, we’re always dreaming up fresh ways to celebrate our favorite holidays with fun activities we can all enjoy together. Even as expert party planners, it’s not always easy to come up with DIY projects that haven’t been done before. This year when we saw the selection of Fun Size M&M’S®, SNICKERS®, SKITTLES® & TWIX® candies from our local Walmart, we were immediately inspired to make something fun with our sweets rather than just pass them out to trick-or-treaters or serve them up at our party. 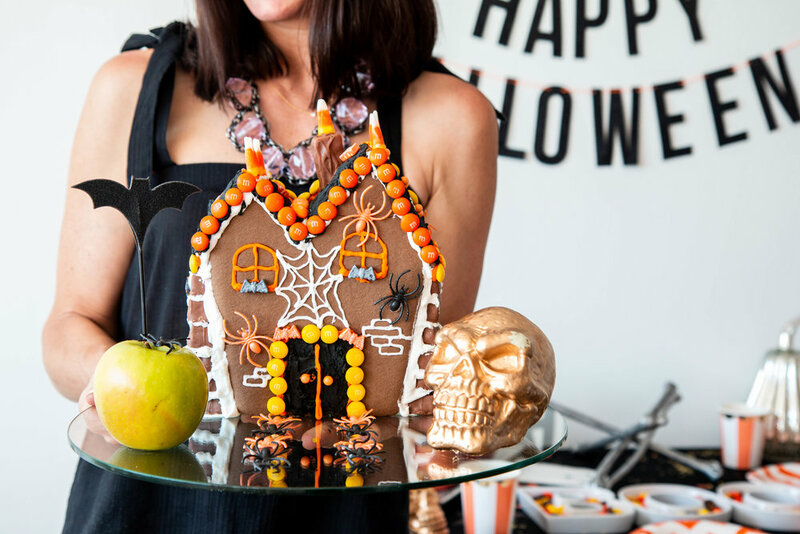 The first idea that came to mind for our Halloween party activity was a Haunted Gingerbread House to use as the centerpiece to our table! We couldn’t get over how perfect the orange M&M’S® and SKITTLES® candies would be to decorate the house. So we ran out to the closest Walmart to grab our Halloween candy, and we saw exactly what we were looking for right in the front of the store with the other seasonal goods. We laid out some skull paper to get ourselves into Halloween craft mode and immediately unwrapped our SNICKERS® and TWIX® candies to get started with building our house. Using a mix of icing that came in our gingerbread house kit and icing we created at home with powdered sugar and food coloring, we applied our SNICKERS® and TWIX® candies as bricks. 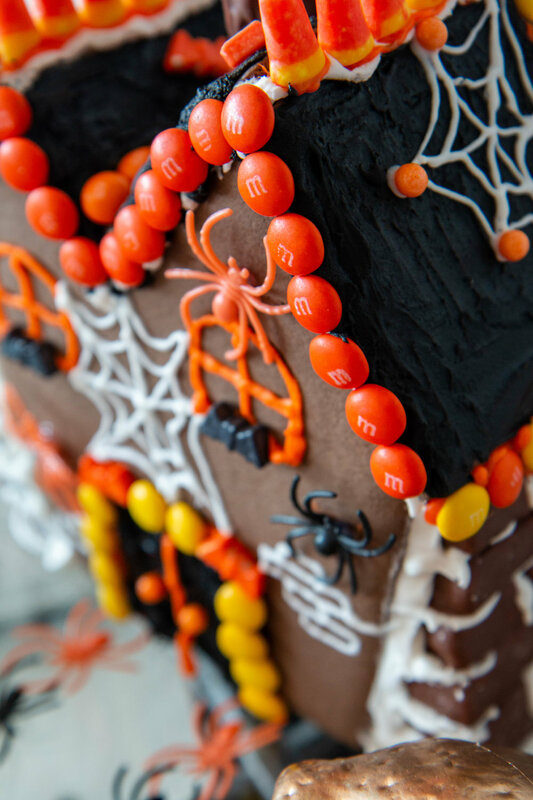 We continued to add spooky elements like plastic spiders and iced spider webs, finishing off the edges with SKITTLES® and M&M’S®. The best part of this activity was that it created the perfect centerpiece for our party table. The assortment of Fun Size M&M’S®, SNICKERS®, SKITTLES® & TWIX® candies couldn’t have been a more perfect combo for Halloween! 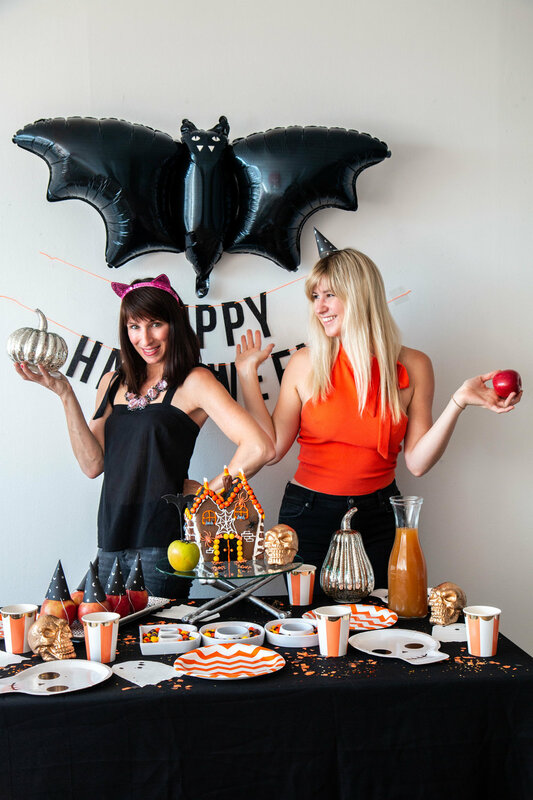 We added our house to a spooky cake stand, filled our BOO dishes with extra M&M’S® candies, added witch hats to apples, and put out our skull plates to finish off the table. Halloween is so close we can almost taste it. So head on over to Walmart for your Fun Size M&M’S®, SNICKERS®, SKITTLES® & TWIX® candies and start to celebrate just like us!